Sometimes it can be difficult to keep on top of the regular jobs that need to be done in the home – from ironing to vacuuming, from washing up to de-cluttering – the busiest amongst us may not have much in the way of time spare to be able to focus on keeping our homes looking spotless. This is, of course, a great shame! This is also why a regular cleaning service can come in handy – there’s nothing quite like returning home from a hard day at work to everything neat and tidy, and it’s certainly a preferable alternative to having to pick up a dustpan and brush before you’ve even taken your coat off! 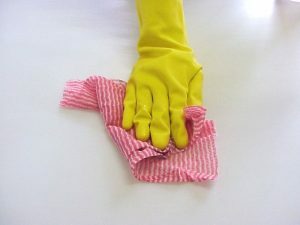 Hiring a regular cleaner is a superb idea if you’re keen on ensuring that your home stays tidy and uniform on a regular basis, and we especially encourage hiring one particular cleaner to work with you long-term – as there are a whole host of benefits to doing so! Taking on a regular, familiar cleaning professional will allow you to build a relationship that benefits you both – you’ll be able to set your own ground rules and wishes with a cleaner and over time they will grow accustomed to them as second nature – and as a respectful and regular employer, your cleaner will gladly stay around to help you with the nitty gritty as long as you need them. The risk of hiring a different cleaner from week to week lies in the cleaning style from person to person – while we can assure that all of our cleaning professionals are vetted and provide superb assistance to all our clients, no two cleaners are the same! You need to find a professional that suits your lifestyle, your needs and, best of all, one you can get along with! Luckily, Sam’s Cleaning and Ironing Services makes it easy for you to search for and hire a friendly and dedicated cleaner that you can work with regularly to ensure that your home stays cared for and clean throughout. You’ll be able to chat to your prospective cleaner ahead of hiring them, meaning that you’ll be able to decide whether or not to proceed with a contract before paying any money. Think of us as a matchmaking agency, but for cleaners and homes – it’s in everyone’s interests to work together well, and we’re confident that we can match you and your home up with a talented, regular cleaning professional that you can rely upon day in, day out. Get affordable cleaning services today! For more information on our portfolio of cleaning professionals, please take a further look at our website – or to speak to us directly, call us today on 07712 227517. You can also contact us via web form if you have a detailed query that you would like to get to us in writing. We will be more than happy to partner you with a hard-working and talented cleaner to ensure that your home stays sparkling and fresh each and every time you return home!